Propellers detail of an Airbus A400M military transporter plane exhibited at the Farnborough Air Show, England. 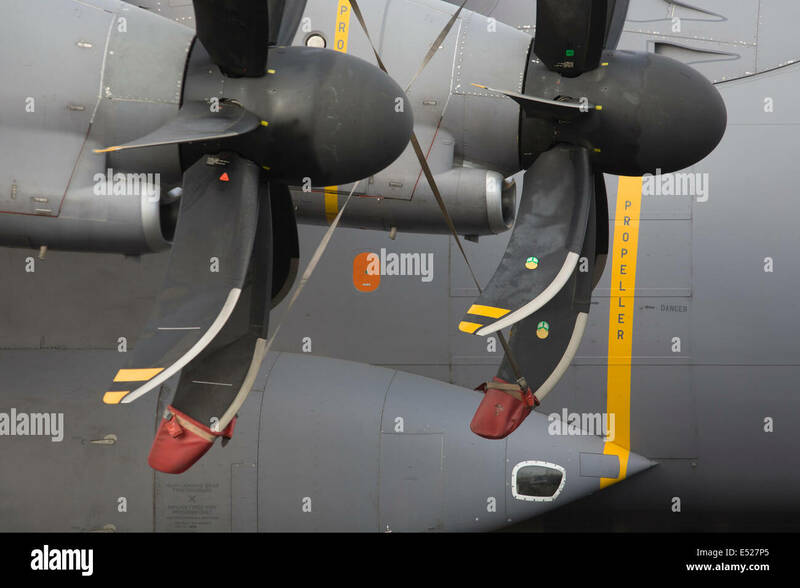 The state-of-the-art propellers deliver huge amounts of aeronautical lift from this military plane. 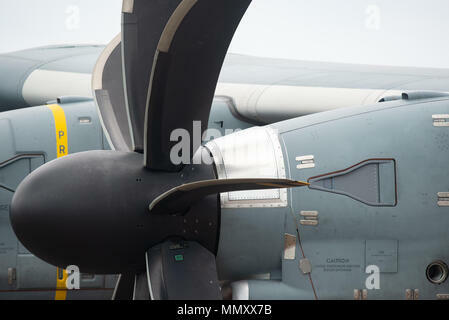 The Airbus A400M Atlas, is a multi-national four-engine turboprop military transport aircraft. It was designed by Airbus Military as a tactical airlifter with strategic capabilities. The aircraft's maiden flight, originally planned for 2008, took place on 11 December 2009 in Seville, Spain. Location: Farnborough Air Show, Hampshire, England. Propeller and engine detail of four engine turboprop military cargo airplane with 8-blade propellers.